Too many of the electric griddles I’ve seen offer a lack of versatility as well as a lack of proper design. There are too many easily breaking flimsy griddles out there. 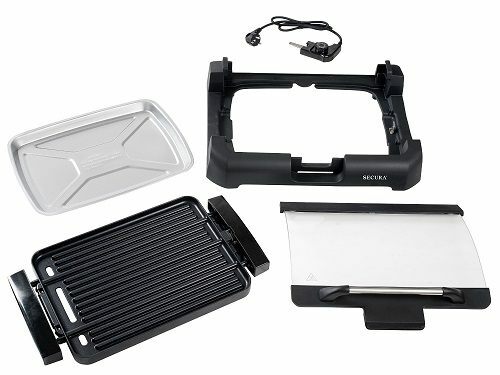 If you love bacon, pancakes, and eggs as much as I do, then maybe you can understand the disgust of creating an electric griddle that cooks poorly or unevenly. Size - Do you need a big surface or a large surface? You also need to consider that most of these griddle will be fairly large, so do you have the storage space to store the griddle? A big griddle can be prone to more unevenness but it can also reduce cook time. Versatility - Your griddle doesn’t just have to be stuck as a griddle. Nowadays, grills, griddles, and much more are being combined into one for the same price. So if you can get two things for one at the same cost, it makes little sense to shy away. ​Durability - Your average griddle lasts a year. Make sure that you buy one that can last a long time. The higher costing griddle will be worth it if you know that it’s going to last you a long time. ​Evenness - Perhaps one of the most important factors is how even your griddle cooks. Be weary of griddles that are known to have hot spots. You want all of your pancakes to cool well, not just the ones in the middle. ​Overall Packaging - Shy away from flimsy designs. You want a griddle that has enough support in the center as to prevent warping and bending. You want to make sure there is a safe and easy place to grab the griddle to prevent burning yourself. 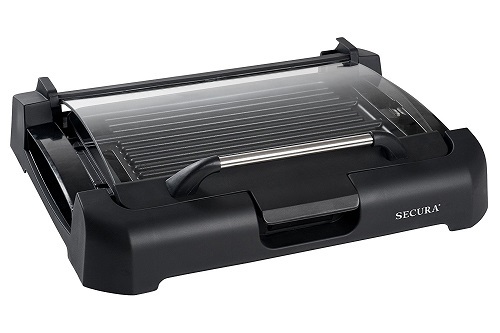 Today, we will be talking about the Secura GR-1503XL 1700W Electric Reversible 2 in 1 Grill Griddle w/ Glass Lid. Reversible Plates - The removable tri-ply heavy duty cooking plates give you versatility. On one side is the grill and on the other side is the griddle. The heating element is sandwiched in between the two. Save space in your cabinet by combining two devices into one. Large Nonstick Surface - You won’t need to grease your griddle, as this giant 180 square inch is ready to go. The large surface allows you to cook for the entire family and saves you time. ​Glass Lid - The removable glass lid is a huge plus. I haven’t seen this included in many electric griddles. There are moisture vents on the side, so if you do choose to use the lid, there’s no worry of your food getting soggy. ​Thermostat Control - The control is also removable, and allows you to heat your griddle and grill to the desired temperature. ​Cool-Touch Handles - They made them for a reason. Please try to not burn yourself. ​Grease Channels & Tray - The grease tray is located conveniently under the cooking plates. Grease channels help direct all the grease towards the tray, which is then easily removed and cleaned. Out of all the electric griddles on Amazon, the Secura has the best reviews. With over 100 reviews it boasts a 4.7 star rating. You don’t see that much with electric griddles since there’s generally so much trouble with electric griddles in general. 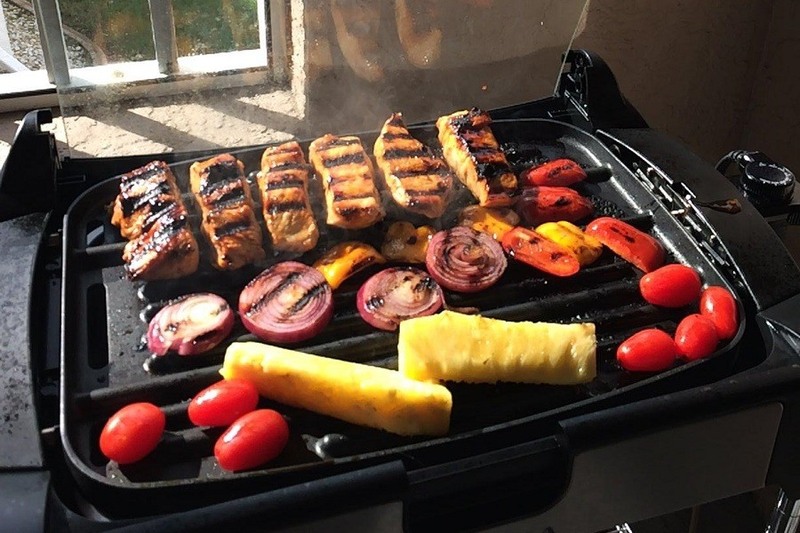 Whether you only use the griddle, only use the grill, or comfortably use both, the Secura will not disappoint. All in all, the product feels very complete. It does not feel like they skimped anywhere to make room for something else. The glass lid allows me to add some control to the heat, which I really appreciate. Chicken, steak, and hotdogs all cook very well on the grill. For an inside grill, this is a huge plus. It’s large enough to have room to move around the food while you cook as well. The cooking was very even. And if it wasn’t the glass lid forces it to be. Most griddles get hot spots or too hot near the heat controls. The Secura felt perfect to me, but i’ve only used it for about a month. If you live in an apartment complex where you can’t actually use propane or coal grills, this grill is for you. It’s the best thing you’re going to get from an indoor grill, and it has the added bonus of a skillet as well. One of the best parts is how easy it is to clean. They include a scraper that allows you to get the gunk off the grill immediately. The grease channels do a good job, and the tray is easy to remove. You can throw both the tray and the plate in the washer and save yourself the hassle. Customer service is fantastic with the Secura. If they send you anything defective or if it falls apart far too soon, they will send you replacement parts or possibly an entire new piece for free. The only place to buy the Secura is on Amazon. It comes with free shipping and will put you back around 70 dollars. 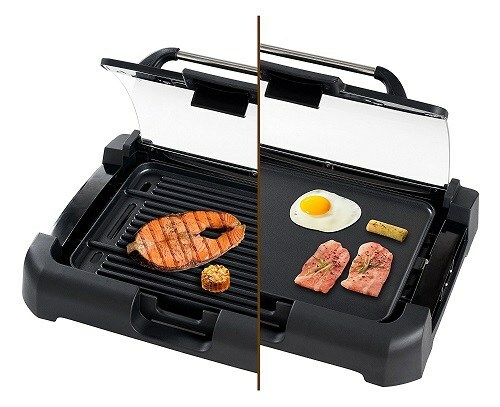 It’s about standard price for a griddle but is significantly better than it’s peers. If you are worried about longevity you can purchase the 4 year warranty for around 8 bucks or the 3 year warranty for just about 5. There aren’t any other places to buy this electric griddle, so while you’re on Amazon get yourself some non stick spatulas and pancake rings. The Secura is large, but it has a grill and griddle. It can replace so many other things in your kitchen that it is worth making room for. What’s most important about electric griddles and grills in the end is the quality of cooking, and the Secura takes the cake. It cooks fantastically and the glass lid allows you to store food hot. 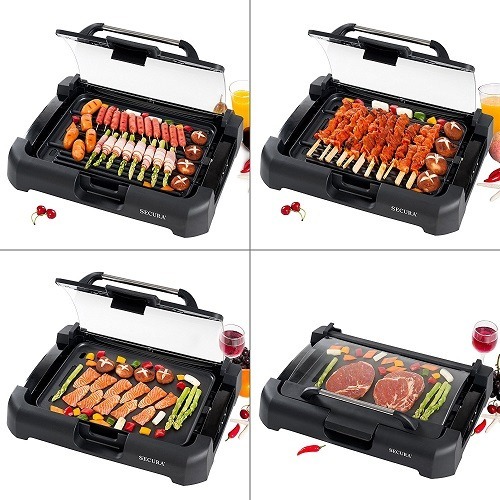 I definitely recommend this griddle and grill as it exceeds expectations across standards. What are you waiting for? Head to Amazon and get one today.